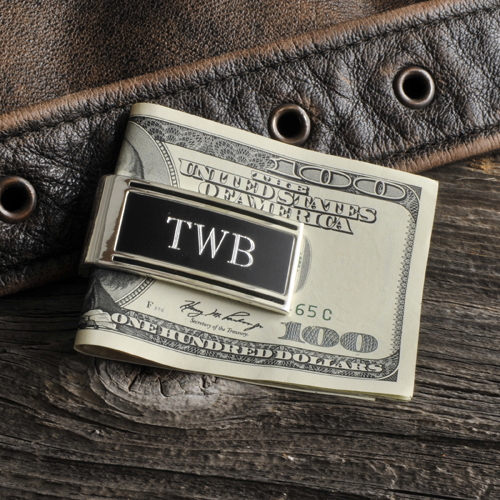 * He'll look like a million bucks when he carries this handsome silver-plated money clip with black trim. * Gently curved but flexible (spring loaded) enough for carrying multiple cards and lots of cash, our personalized Millionaire Money Clip lets him dispense with the heavy wallet and keep valuables safely tucked in a pocket. * Initials make it extra special! * Measures 2 1/4" x 1" x 1/4". * Personalize with 2 lines up to 12 characters per line. 2.25" x 1" x 0.25"